PENNSAUKEN, N.J. (WPVI) -- Police are looking for a vehicle that may be connected to a drive-by shooting in Pennsauken Township, New Jersey. The Camden County Prosecutor's Office said the vehicle is described as a burgundy or red 2000 Buick Century. 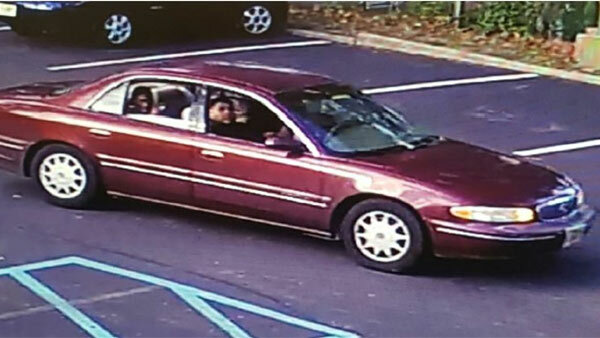 Investigators released a surveillance image of the vehicle on Monday. The shooting happened around 5:25 p.m. Friday on the 7000 block of Stockton Avenue. Jerry Mass, 26, of Camden, was killed in the shooting. The suspects are described as a Hispanic male approximately 5'9" with a stocky build, while the second suspect is described as a black male about 20 to 30 years old. Anyone with information is asked to contact Camden County Prosecutor's Office Detective Michael Rhoads at (856) 225-8561, Pennsauken Detective Sergeant Warwick at (856) 488-0080, or email ccpotips@ccprosecutor.org.